What Kinds and Sizes of Trees do We Remove? 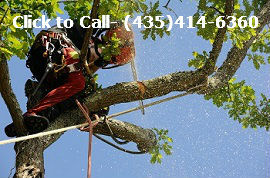 Tree Removal is one of our specialties here at St. George Tree Service. If it is a tree that can grow here in Southern Utah then we can remove it. There are several reasons why we would take out a tree. The first reason is that the tree died. This could be cause by disease, age, or a winter that was too cold for you palm tree to handle. Either way no one wants a dead tree hanging around their yard for a year after year after year waiting for a dead tree to fall over (hopefully not on the house) and decay. I mean that works out okay up in the mountains but not in your yard. Another reason that we remove trees is because they are dying and beyond saving. 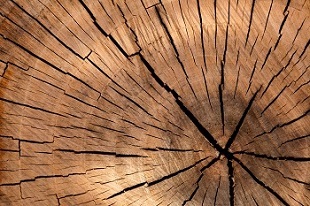 If half of a tree is dead, it does not look good anyway so it might as well be removed and replaced, either by another tree, a bush, lawn, or whatever suits your fancy. A third reason for removal is that the tree is severely leaning and in danger of falling. Insurance companies love this. Ha Ha. A forth reason might be that you have had a tree fall over. Avoiding this is often why insurance companies insist on the previous reason. However, even an up right tree can sometimes be blown over in a severe storm. The fifth reason that we remove trees for is because a tree is unwanted. Lets face it not all large, healthy trees are wanted. Whether it is a large pine tree that drops so many needles that your lawn can't grow or a tree that you just don't like, for reason's that you can't even seem to explain to yourself, we are willing to remove your tree or trees. What is the Process for Removing Trees? When we set out to remove a tree we have steps that we follow. First, we look at the tree, its size, and if it is leaning in any direction. We then determine, based on the tree, how many pieces we are going cut it into as we take it down and which direction we want it to fall. We also determine what equipment we will need for each tree. Needless to say it takes more equipment to remove a 50 foot pine than it does a 20 foot fruit tree. With most trees we will remove most of its branches before we cut the trunk. Once again size plays a role in this decision. After a tree is removed then we can take care of the stump. Most people do not want a stump left behind to trip over and continue to have to mow around. This is why we offer stump grinding services. We can grind that stump down so that you can plant grass over the top of it and never know it was there. Whatever your reason may be for needing a tree gone, St. George Tree Service is here for you. Give us a call- (435) 414-6360 and be sure to mention our website. ​Or fill out our free estimate form today!